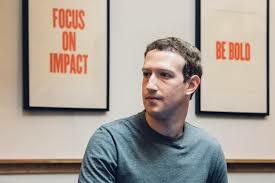 Facebook chief Mark Zuckerberg had confirmed that the world’s largest social network site soon be adding a new dating feature and pledge to ensure the secrecy and protection of all subscribers. The announcement vouched amidst the controversy Cambridge Analytica scandal, where verified millions of identity and information has been hacked. But Facebook Chief assured in protection system it is users friendly. He added that the premiere priority of the dating site will be secrecy and help people using the program will generate engine for searching and thus fine a long term-partner. “This is going to be for building real, long-term relationships, not just hookups,” Zuckerberg said in presenting the new feature, noting that one in three marriages in the United States start online—and that some 200-million Facebook users identify as being single," he said.